Any member of an organization that truly cares about the group will not hesitate to hold the leadership accountable for the group’s actions if they deem them to be inconsistent with the mission of the group. This is because they want to see the group succeed in fulfilling its mission. The liberal media is practically throwing money at anyone who is Republican and willing to talk badly about Trump. All of a sudden Black Republicans are in great demand on CNN and MSNBC, but only for those who will savagely criticize Trump and all things Republican. These Black Republicans who are bashing Trump rarely help Black college students get an internship on Capitol Hill. They have little to no relationship with the Black community. In other words, they had laryngitis during the past decades of the party simply ignoring Blacks; but Trump, who has utilized more Blacks in key positions than the sum of the 16 candidates he beat during the primary, they want to get rid of. They are getting their 30 pieces of silver and are neither concerned with the greater good of the party nor our community. Very few of these Black Republicans even acknowledged the RNC’s move to hire Shannon Reeves as a consultant. 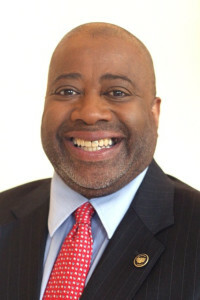 Raynard Jackson is founder and chairman of Black Americans for a Better Future (BAFBF), a federally registered 527 Super PAC established to get more Blacks involved in the Republican Party. BAFBF focuses on the Black entrepreneur. For more information about BAFBF, visit www.bafbf.org. You can follow Jackson on Twitter @Raynard1223.